The Elegant Mayfair in London is an apartment building. 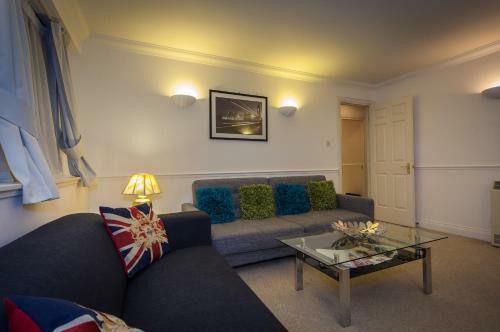 The Elegant Mayfair is a self-catering apartment located between Green Park and Hyde Park Corner Tube stations. This luxury property features a concierge service. The apartments have smart décor and wooden floors. The lounge has sofas, a dining area and a flat-screen TV. The kitchen includes a microwave, fridge, oven, toaster, dishwasher, microwave and a washing machine. 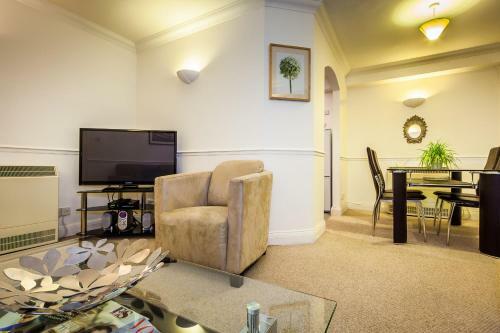 Hyde Park and Mayfair’s upmarket shopping are within 5 minutes’ walk of the apartment. Sights including Westminster and Buckin...gham Palace can be reached in around 20 minutes by foot. Big Ben and the banks of the River Thames are just over a mile away. 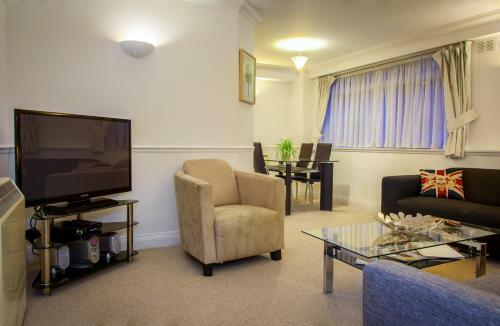 The Elegant Mayfair is a self-catering apartment located between Green Park and Hyde Park Corner Tube stations. 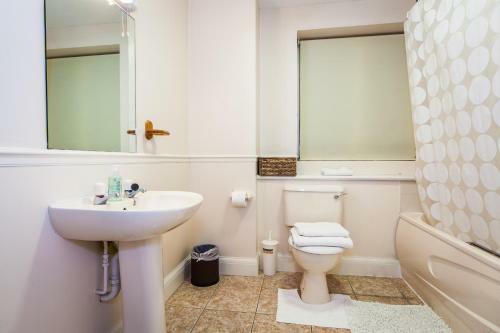 This luxury property features a concie...rge service. The apartments have smart décor and wooden floors. The lounge has sofas, a dining area and a flat-screen TV. 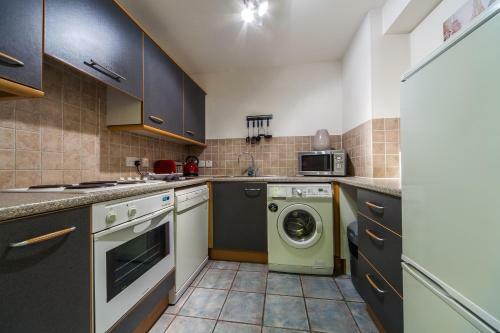 The kitchen includes a microwave, fridge, oven, toaster, dishwasher, microwave and a washing machine. 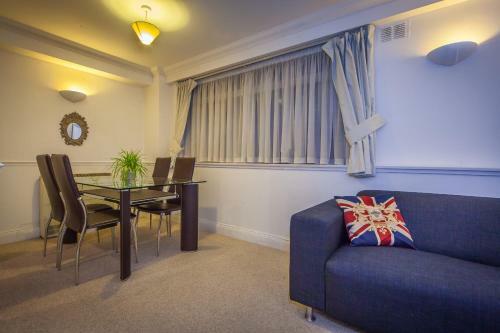 Hyde Park and Mayfair’s upmarket shopping are within 5 minutes’ walk of the apartment. Sights including Westminster and Buckingham Palace can be reached in around 20 minutes by foot. Big Ben and the banks of the River Thames are just over a mile away. When would you like to stay at The Elegant Mayfair? Children and extra beds All children under 2 years are charged GBP 10 per night for children's cots/cribs. All children under 12 years are charged GBP 20 per night for extra beds. All further older children or adults are charged GBP 25 per night for extra beds. The maximum number of extra beds in a room is 2. Supplements are not calculated automatically in the total costs and will have to be paid for separately when checking out. Any type of extra bed or child's cot/crib is upon request and needs to be confirmed by the innkeeper. Accepted credit cardsVisa, Euro/Mastercard, Diners Club, JCB, Maestro, Discover, Solo. The accommodation reserves the right to pre-authorise credit cards prior to arrival. A damage deposit of GBP 350 is required. The host charges this 3 days before arrival. This will be collected by credit card. You should be reimbursed on check-out. Your deposit will be refunded in full via credit card, subject to an inspection of the property. Please inform The Elegant Mayfair in advance of your expected arrival time. You can use the Special Requests box when booking, or contact the property directly with the contact details provided in your confirmation. You must show a valid photo ID upon check-in. Please note the payment must be from the original card, and the cardholder must be present. Kindly note the guest is liable for any damages made to the property by themselves during their stay, and will be charged for damages if necessary.